Understanding the needs of digital consumers to deliver hyper-personalized experiences is one of the greatest challenges in the industry. examples of how leading brands are capitalizing on digital assistants to gain a competitive edge in the marketplace. 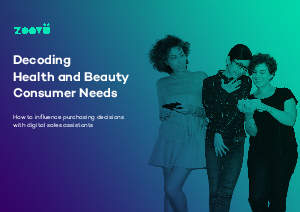 Download the e-book to learn how you can leverage AI-powered digital assistants to drive purchasing decisions, brand preference, and loyalty in this dynamic sector.